A major goal of HBP is to use simulation of multi-scale models to uncover the neural mechanisms underlying cognitive processes, such as learning, perception, sleep, and consciousness. 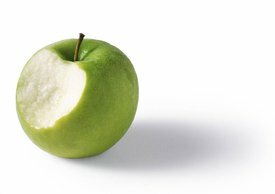 Imagine an apple — its greenness, sour taste and its fresh, crisp crunch; how does the brain create a representation of such an apple? Theoretical neuroscientists are working to develop a multi-scale theory of the brain that synthesises top-down and data-driven bottom-up approaches. They are also trying to: unify theories of learning, memory, attention and goal-oriented behaviour; understand complex cognitive functions such as spatial navigation, recursion, and symbolic processing; and identify bridges linking the multiple temporal and spatial scales implicated in brain activity and in the signals captured by imaging and other technologies. HBP’s cognitive neuroscientists are looking at the nature of visual perception, the spread of slow waves in the sleeping brain, the role of the hippocampus in episodic memory (personal memories from our lives) as well as developing new ways to measure the state of consciousness in both people and other animals. How does the brain create a representation of an object, like an apple, from multisensory information? This question is crucial since these representations are the basis for higher cognitive processes such as category formation, reasoning and language. One of our goals is to develop a "deep learning" neuronal network that learns to recognize objects and functions in a way similar to real neurobiological systems. One of the deepest unsolved problems in science is the nature of consciousness - how is consciousness generated by the brain? There are several clinical and ethical problems that limit how we can address this question, such as assessing the level of consciousness in patients following brain injury. Novel ways to measure consciousness levels will make clinicians less dependent on purely behavioural measurements; this will benefit, for example, coma patients. Similarly, how can disparate phenomena such as sleep and wakefulness emerge from the same cortico-thalamic systems in the brain? To answer this question, we will investigate slow-wave activity and simulations of large populations of firing neurons in mice and humans. Episodic memories are our personal, conscious experiences set within space and time. The brain's ability to recall objects and experiences from multisensory information (e.g. vision, hearing or touch) is key to understanding human memory. The HBP is conducting a coordinated series of experiments to identify the neuronal mechanisms behind episodic memory, and validate them by computational models and robotic systems. The work of HBP’s theoretical and cognitive neuroscientists feeds into the work of elsewhere in the HBP, particularly the neurorobotics and neurocomputing platforms.